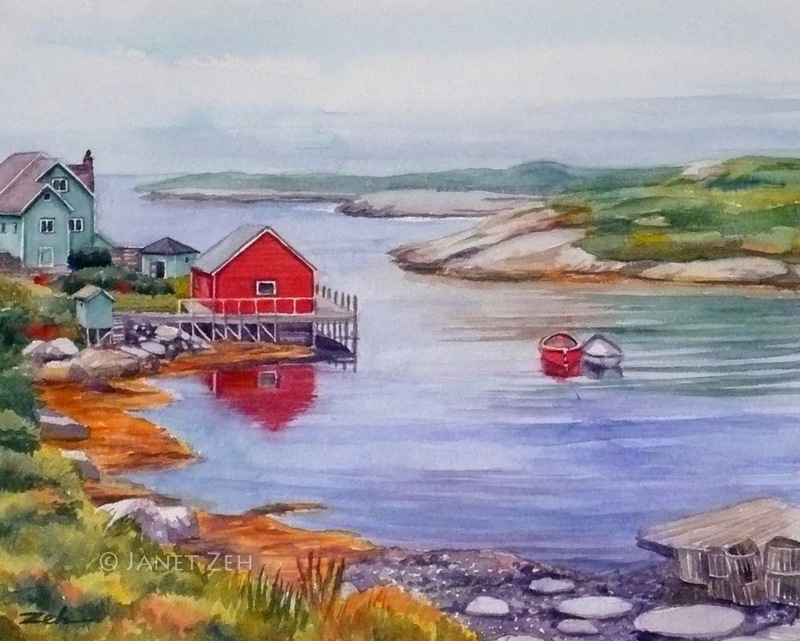 This print from my watercolor was inspired by a lovely little inlet in Nova Scotia. Nova Scotia Harbor Print is available framed, unframed or on canvas. Click the Order Print button below for options sizes and prices.